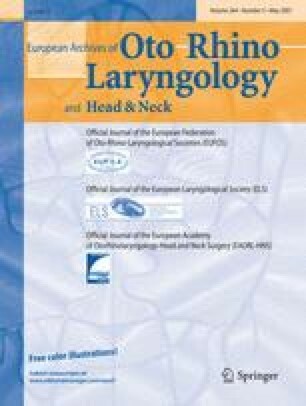 A rare case of repeated granulomatous inflammation after silicone injection laryngoplasty for vocal fold immobility as well as its treatment by endoscopic approach is reported. The patient presented a right-sided vocal fold immobility after laryngeal trauma and remained dysphonic despite of logopedic voice therapy because of severe glottal insufficiency. An endoscopic transoral intrafold silicone injection was applied to improve the vocal function. Silicone granuloma inflammation was observed 8 days after the vocal fold augmentation. Oral broad-spectrum antibiotics and corticosteroids did not improve the inflammation. A cordotomy was performed to remove the silicone implant. After 3 months, a second endoscopic surgical intervention was necessary to remove a recurrent silicone granuloma. Eight months after the second surgical intervention, the inflammation had disappeared. An autologous fat injection to restore the glottal closure was performed successfully. Type IV contact allergy was excluded with an epicutaneous patch and scratch test with components of the silicone implant. Clinical and treatment observations are reported and the literature on complications of intrafold injected silicone for vocal fold augmentation is reviewed.